Image: “Dennis Brutus at ‘Free Mumia’ rally” by Carolmooredc is licensed under CC BY-SA 4.0. At nearly four in the morning on Dec. 9, 1981, Daniel Faulkner of the Philadelphia Police Department performed a routine traffic stop in Center City, Philadelphia. The altercation became violent, at which point Mumia Abu-Jamal ran over from where his taxicab was parked to intervene. Minutes later, Faulkner was dead from several bullet wounds. That instant set the ball rolling on one of the most controversial criminal cases in United States history. The accused, Abu-Jamal, was sitting in a taxicab across the street when he saw his younger brother, William Cook, being stopped by the officer. The next few moments are shrouded in mystery. Due to police presence at the time of the incident and viewing the altercation at varying levels of intoxication, witnesses gave inconsistent stories when recalling the event. Most witnesses attested to seeing Abu-Jamal get out of his taxi and charge across the street, shooting Officer Faulkner once in the back and again in the head. However, the lack of forensic tests done on Abu-Jamal’s weapon, the inconsistency between stories and the exclusion of several black jurors from his trial made the unanimous guilty conviction controversial. “His original trial was manifestly unfair and failed to meet international fair trial standards,” writes Amnesty International. Born Wesley Cook in 1954, Cook changed his name to Mumia Abu-Jamal. Abu-Jamal became involved with the Black Panthers in 1968 after he was beaten by police. Abu-Jamal worked extensively with the Philadelphia chapter of the Black Panthers and was tracked by FBI’s Counterintelligence Program (COINTELPRO) for several years before the shooting. Abu-Jamal’s weapon was found to be missing five bullets; he suffered a bullet wound to the stomach. Since he was convicted in 1982, Abu-Jamal and the way in which the Philadelphia judicial system handled his case have sparked intense discussions surrounding systemic racism, anti-capital punishment and judicial inequality. The case has spurred such a maelstrom of controversy that Abu-Jamal, now 64, is still working towards a retrial. In a major breakthrough for the case, the Philadelphia court system has finally granted Abu-Jamal another chance to make a case for a retrial. Since Philadelphian District Attorney Larry Krasner ruled the decision as too broad, it remains unclear as to whether or not Abu-Jamal will be granted an appeal. Abu-Jamal’s previous reconsideration was overseen by Ronald D. Castille, whose role during the trial as both Philadelphia’s district attorney and the chief justice caused a conflict of interest. Castille’s refusal to recuse himself led a local pleas court to grant Abu-Jamal another appeal in late December. This decision, like everything else surrounding the trial, was met with conflict from those arguing that Castille had so little personal involvement with the case that to grant Abu-Jamal another retrial would open up the floodgates to countless others in similar situations. As of late January, the Philadelphia District Attorney appealed the judge’s decision and the case still hangs in ambiguity. Abu-Jamal’s story is one of many to continue to be tossed around by an ever-growing racial equality movement. With the advent of Black Lives Matter and similar groups around the world, the treatment of the then-Black Panther is seen by many as a rallying cry. 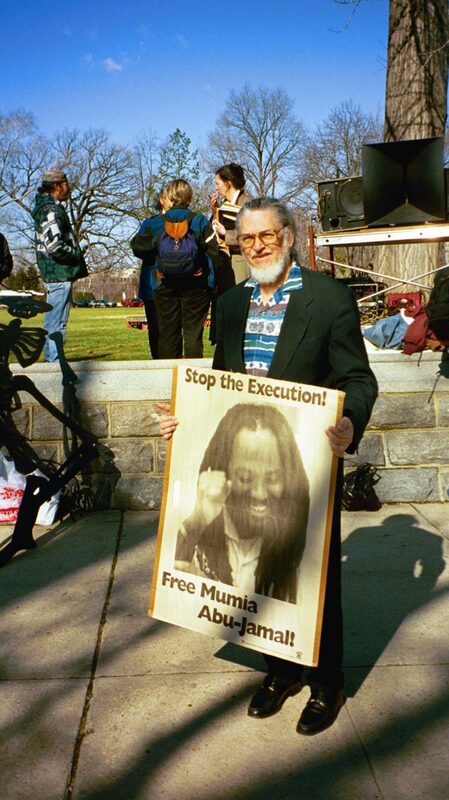 “Free Mumia” has transcended the man himself and, while not without its fair share of critics due to the large amount of evidence against Abu-Jamal, the conflict continues to be a symbol of the struggle towards racial equality in U. S. court systems. Abu-Jamal himself has continued his work behind bars, writing and contributing to the movement which argues for his innocence. Whatever comes from Abu-Jamal’s appeal, the ability of modern social justice movements to bring a 35-year-old case back to life is a testament to how central these issues are in American society.